Located in the vibrant Bryant Park neighborhood, Proper West is a handsome New American restaurant and cocktail lounge that "encapsulates everything you never knew you wanted," according to a glowing review by Thrillist. Grab your $39 pulse (a $98 value) for a scrumptious brunch for two, that includes 2 Entrees and 90 minutes of bottomless Bloody Marys and Mimosas. The Italian Baked Eggs bubbling with housemade mozzarella & sauteed spinach, served along with a side of toast, is a stellar choice if you're in the mood for eggs. 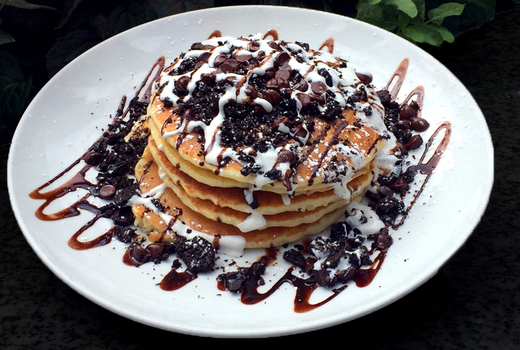 On the sweet side, try the S'mores Pancakes, a stack of fluffy graham cracker-chocolate chip pancakes topped with chocolate syrup and cloudy mounds of marshmallow. Following their success with Manhattan Proper in Tribeca, restaurateurs Will Strozier & Rob Zahn opened Proper West as a refreshing alternative to the midtown dining scene. The 5,000 square foot space boasts a marble bar, leather banquettes, hard oak floors and rotating photo exhibits. The towering floral displays and custom lighting add an upscale touch to the American resto-bar concept. Nonetheless, it's clear that the imaginative brunch menu boasting no less than 20 choices is the star attraction. At a venue known for some of the best burgers in the city, our choice would be the Hawaiian (mozzarella, bacon, grilled onion, mango & pineapple salsa, avocado, sriracha mayo, potato bun, & fries). 2 Entrees (up to a $17 value each). 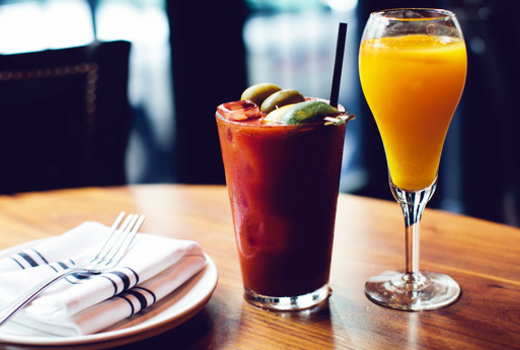 90 Minutes of Bottomless Bloody Marys & Mimosas. "Great brunch at Proper West! We stumbled upon the place on pulsd, and it did not disappoint! Our waitress and multiple servers were very polite and attentive. The drinks were flowing during our bottomless brunch... The food and drinks were perfect! We will definitely return in the near future for another wonderful afternoon of fun!" 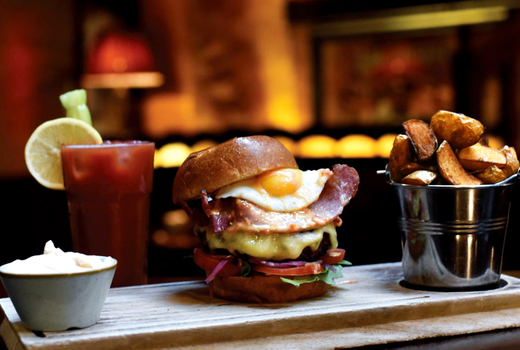 "The new brunch menu was unleashed on me and my pals and it did not disappoint. I had the steak & eggs which was cooked to perfection we also enjoyed the fantastic french toast w/ carmelized banana and walnut. My pal had the eggs benedict which he completely engulfed lol. The food was great atmosphere A+." 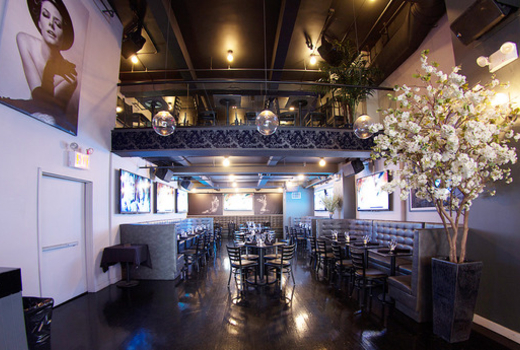 "This is by far one of my most favorite places in NYC - it's an upscale oasis with a sophisticated feel and a comfortable atmosphere with the most outstanding food and service. 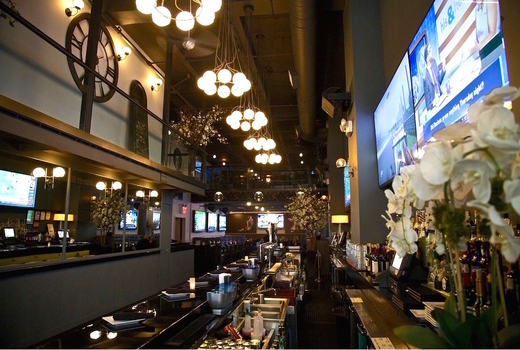 Decor/atmosphere and food are just out of this world." Tax and gratuity not included. Reservations required. Expires on Sunday June 23, 2019.